Questions about Kichler Lighting 45064AP? 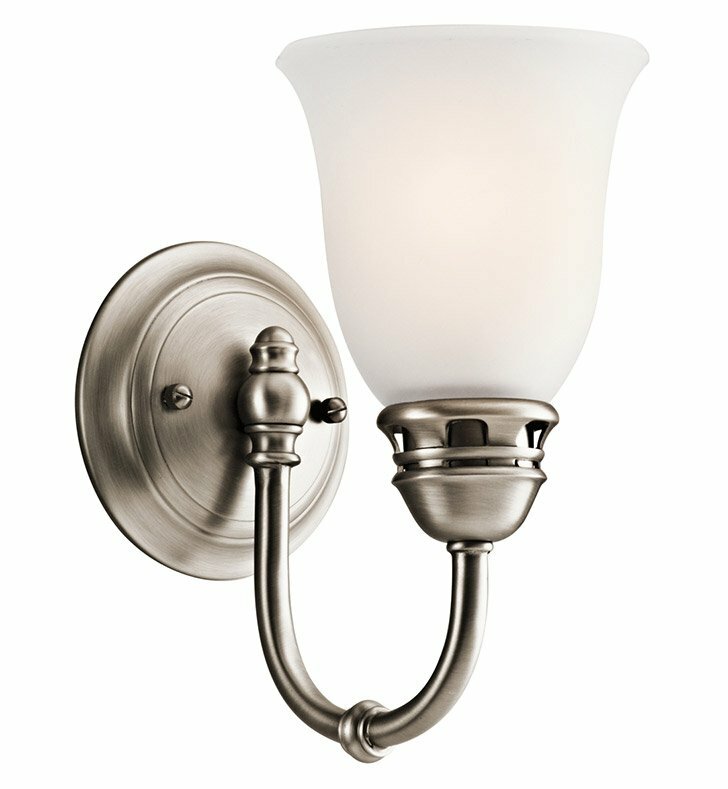 Less is more with this 1 light wall sconce from the Durham Collection. Its understated shapes and soft, clean lines create a relaxing, calming environment. With a metallic Antique Pewter Finish and simple Satin-Etched Glass, you can be assured of a streamlined, timeless design that makes an impressive statement without being pretentious. May be hung with the glass up or down. Dimensions: H 9 1/2" x W 5"